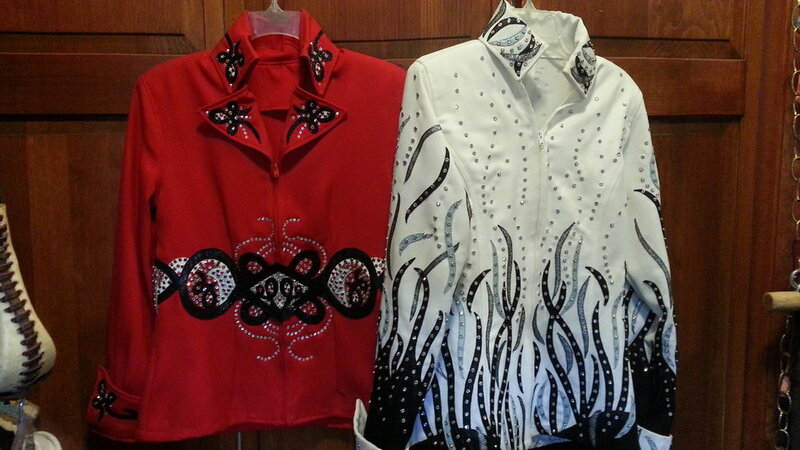 I have decided to discontinue with Western show clothing for the time being until the market calls for it. 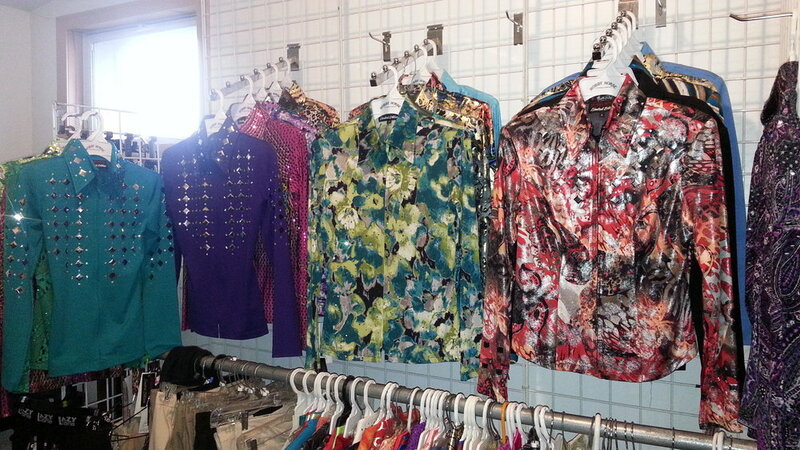 Any show item in stock is on sale, Call for selections. Chaps on sale also. 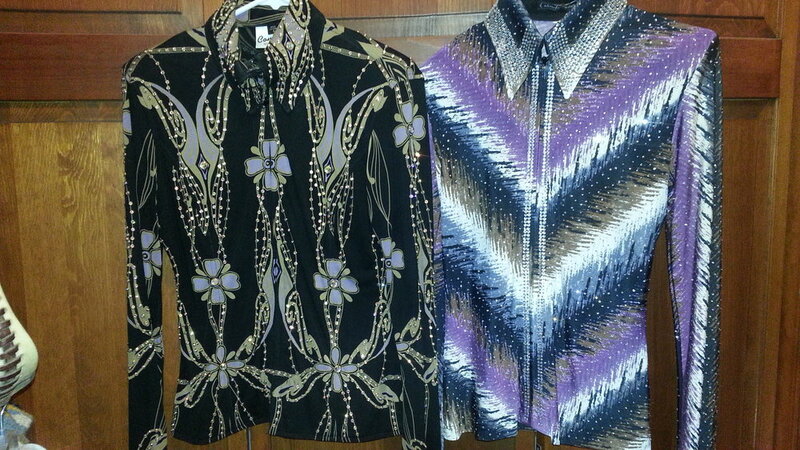 We have a variety of used custom and stock show clothing available. Stop by and see if any will work for you. 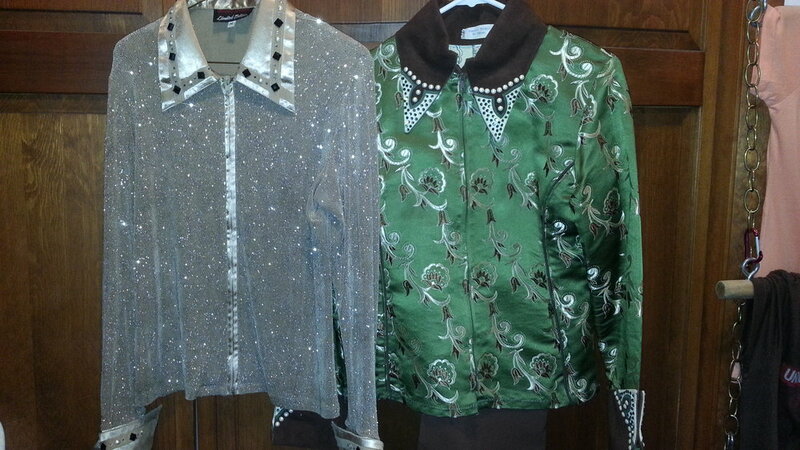 Here are a few selections. Used Hobby horse and custom showmanship set. 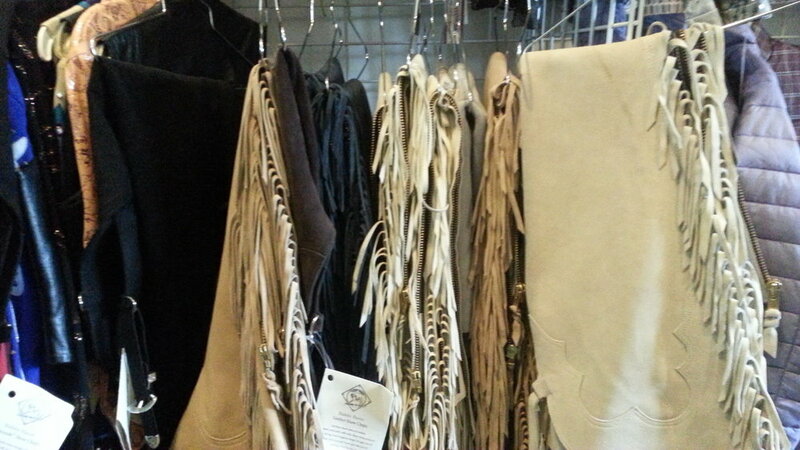 Hobby Horse chaps in the suede PMS style and Ultra-suede style are being closed out. There are a few used custom available. Call for sizes and colors. All chaps on sale .